The Balbas Winery was founded in 1777 in the Ribera del Duero wine-growing region of Spain. The estate vineyards consist of 222 acres of hand picked Tempranillo, Cabernet Sauvignon and Merlot grapes. Balbas Winery believes that yields from their estate vineyards should be kept low while utilizing various techniques such as green pruning to yield a better crop. 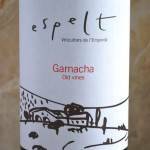 Their style of wine-making is one that exercises restraint and honors the local wine-making traditions of the Ribera del Duero region. 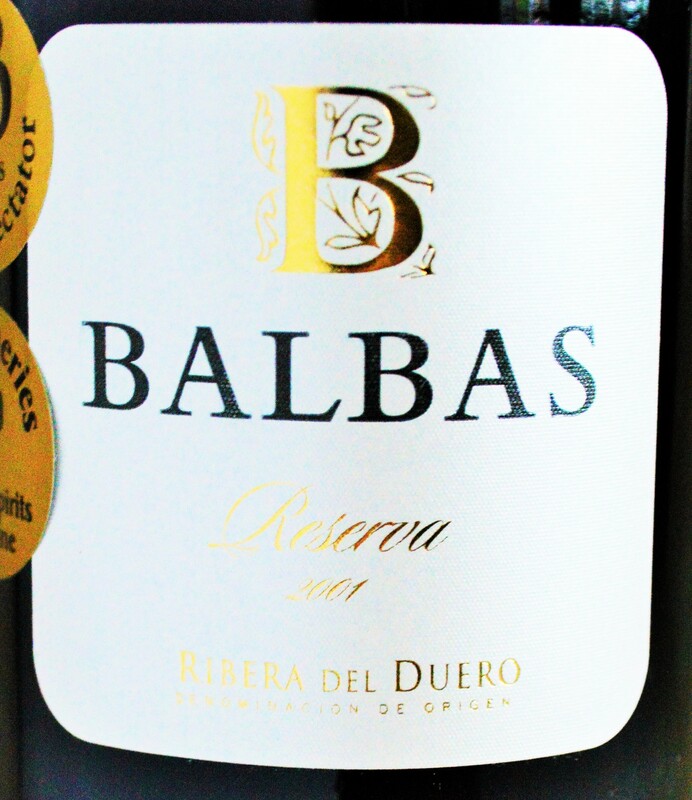 Let’s pop the cork and give the Balbas Reserva 2001 a try! Appearance: Medium ruby with slowly developing legs. There are almost no signs of “bricking”, or browning at the rim despite the age of 13 years. Nose: Fragrant to the core with ripe red fruit: cranberries, raspberries and kirsch liquor. 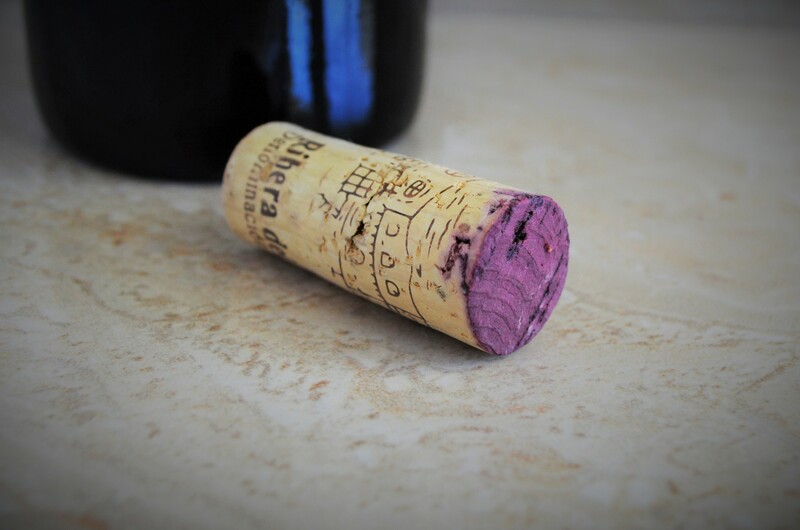 There are subtle notes of leather and truffles piercing through the high toned fruit. On the palate: Surprisingly vibrant and youthful despite it’s age. The palate follows through with bright, spicy red fruit and more subtle notes of cedar and tobacco. With air the wine develops more richness along with notes of smoke and incense. It’s medium bodied displaying good acid, impeccable balance and an elegant finish. Should you buy? At only $20 with shipping the Balbas Reserva has just the right amount of bottle age at just the right price. Is this really a 13 year old wine? If I had tasted the Balbas Reserva 2001 blind I would have bet that it wasn’t. It’s vibrancy and freshness is stunning considering it’s age, but perhaps this is a testament to the wine-making skills and terroir of Balbas Winery. I would love to try this in a few more years to see how it further develops. I believe the 93 point score and “Cellar Selection” designation from Wine Spectator are spot on. I picked this gem up from online discount retailer Wines Til Sold Out for $19.99 and it was well worth the price. I have purchased the Balbas Reserva 2001 several times from Wines Til Sold Out and it has been a consistent overachiever considering the price point. It seems to come up on their website every so often (12,500 cases of this were made). If you haven’t signed up for their e-mail alerts it might not be a bad idea to do so should you care to join me in tracking the further development of this delicious Spanish bargain! 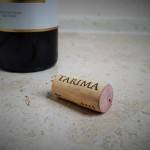 2011 Tarima Hill Old Vine Monastrell Review – Is this bold red one of the best bargains in the Costco wine section? 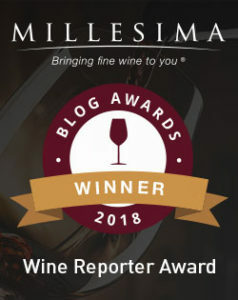 This entry was posted in Between $20 and $29.99 | Reviewed, Red Wines, Under $20, Under $30, Under $50, Under $75, Wines Til Sold Out Wines | Reviewed and tagged Balbas Reserva, Balbas Reserva 2001, Balbas Reserva 2006, Balbas Reserva Price, Balbas Tempranillo, Balbas Tinto Fino, Balbas Tinto Pais, Balbas Wine Review, Balbas Winery, Bodegas Balbas, Ribera del Duero, Ribera del Duero wine on April 30, 2014 by The Fermented Fruit. 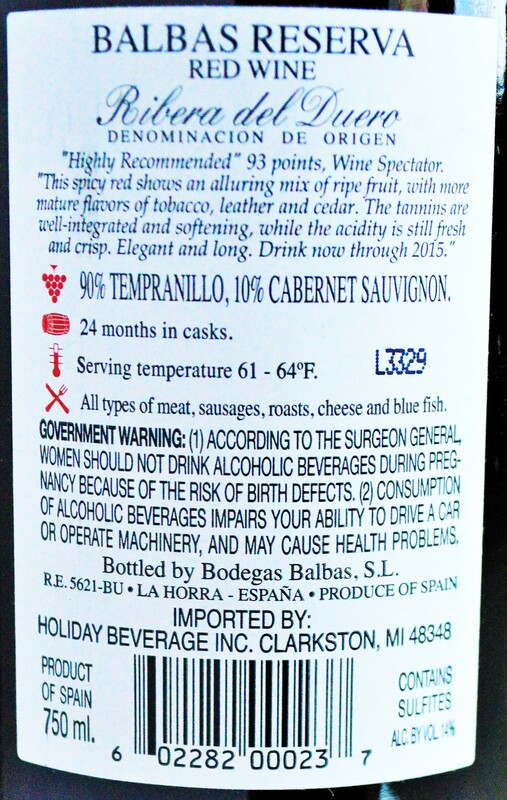 I bought 2 bottles of this wine last week. Opened one and enjoyed it with some prime rib, outside, with all of the smells of an Ontario fall in the air. I absolutely enjoyed it and went back and bought a case. I’m so glad you enjoyed the Balbas Reserva! It’s such a great wine for the money and it’s drinking so well right now. Enjoying it alfresco and paired with Prime Rib sounds pretty amazing!